Too cold to go shopping for food so it was time to break out the emergency rations! 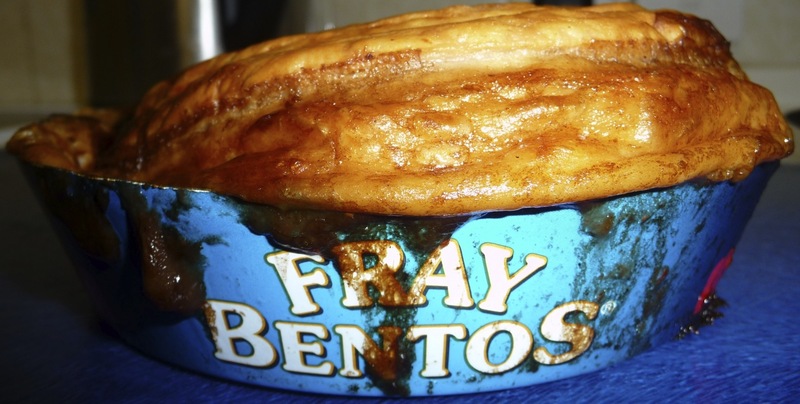 This had been sitting in my cupboard for some time – a tinned Fray Bentos Steak and Ale Pie! Well it didn’t look anything like the picture on the tin when it was cooked – but it tasted OK.